Horror Film Marathon. Last year I decided to spend the weeks leading up to Halloween and Halloween night as an excuse for an ongoing horror movie marathon. Thankfully Netflix appeases people like me by releasing Halloween-appropriate movies and shows (and you can bet I will be popping in my absolute favorite, Hocus Pocus). Visit a pumpkin patch. Nothing new here. 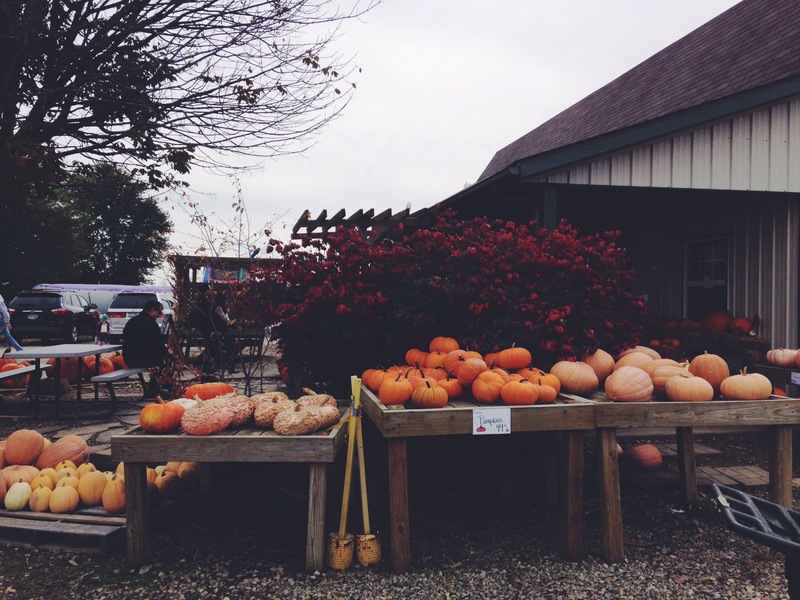 No fall is complete without a trip to a pumpkin patch. I usually go to Jacquemin Farms and haven’t decided if I will try something new or not. I don’t usually actually carve pumpkins but love placing the outside our front door. See Rocky Horror Picture Show. Another thing I’ve never done. I’ve always been intrigued by the show and hope to catch it on the big screen at Studio 35 or AMC Lennox. 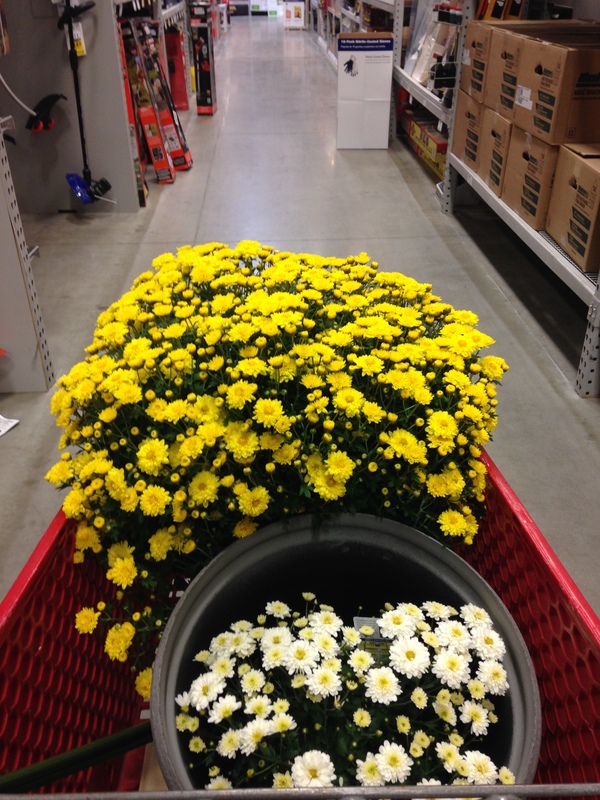 Buy lots of mums. Mums have always been some of my favorite flowers. One of the hardest parts of fall is the dying off of all things green and I love how big pots of mums add color and life. I’m sure I’ll be heading out to Oakland Nursery for a variety of colors. Watch an Alder game. Haven’t been to my alma mater for a football game since I graduated from high school. Chris and I have been trying to make our way out for a varsity game for years and I hope to finally go this autumn. Go apple picking. 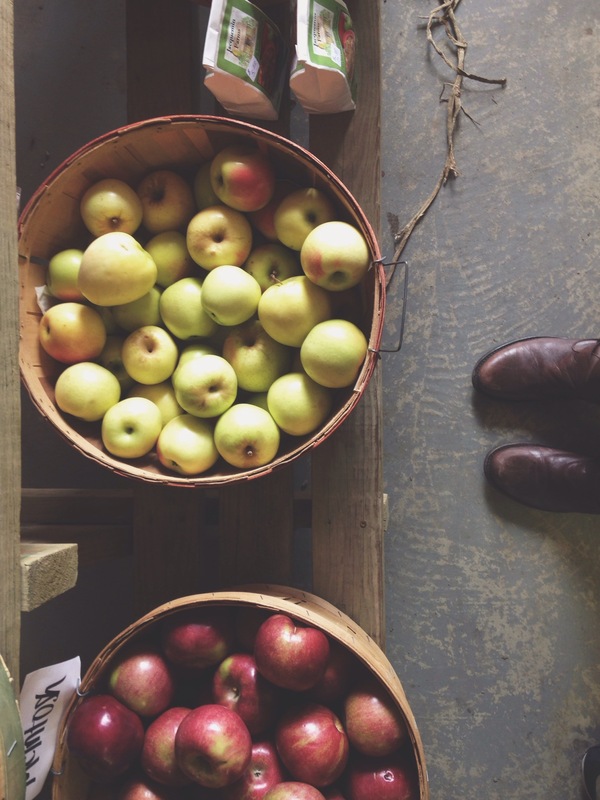 I’ve never been apple picking and am would love to check out Lynd Fruit Farm. I love fresh, sweet apples and think picking in the cool autumn weather would be a perfect afternoon date. Decorate the house. I’m not usually one to decorate too heavily for the change in seasons but this year I picked up a couple things to bring a fall-like atmosphere to the house to celebrate my favorite season of all time.